One could easily start to think that this whole boom in computer gaming would “kill off” board games, but one would be wrong. Actually board games are having their own boom and were never as popular as they are right now. According to Doctor Tomasz Sobierajski sociology Professor from Warsaw University “we miss the need to be with other people”. Computer gaming can be fun but most of the time we are isolated; it is just us stuck in the room staring at a screen whereas board games give us the opportunity to be interact with others and at the same time learn something new, have fun and relax. Board games are extremely important part of growing up. They help with intellectual development, social rules as well as interpersonal relationships; they teach us how to win and more importantly… how to lose. How to choose the perfect board game? Well, I am not sure I have a perfect recipe for success when it comes to game choices but I have a few pointers which might help with this task. This would give you the general idea about the game and the ever so important age bracket the game is designed for. Every game has its own rules. When picking something new we need to make sure that the rules are not too complicated and that the participants will be able to follow them. Some games can take a long time to finish. It is important to pick the right game that suits the time frame available to you to finish the game – too long and kids can get bored. Fantasy, simulation, adventures, logical… you know best what you like, you know best what your friends or kids are good at… take it into consideration when making your choice… If your players aren’t good readers don’t pick the game which requires a lot of reading in order to progress… games should be fun… this is their main role and everything else we learn during this time it is just a bonus! Games Quest was started by people who love games and love having fun. They stock over 30,000 of the world’s favourite board games, toys and books. If you are looking for it, I am sure they have it. Games Quest have kindly offered £40 of site credit to one of my readers, so you can pick something you and your kids or friends can bond over and enjoy during these long winter evenings. 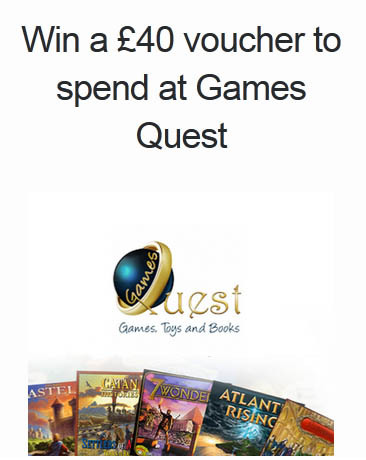 If you have a board game on your wish list and fancy winning £40 to spend at Games Quest please just follow the link to my rafflecopter giveaway. Do you like board games? Do you think their future is bright? Do you play with your kids, partner or friends? 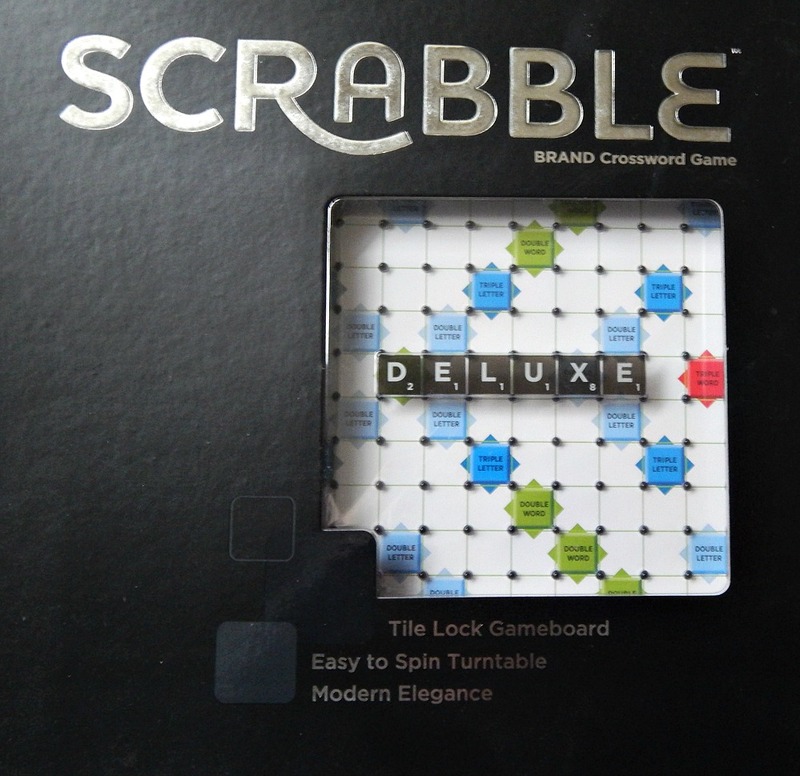 Board games change the dynamics of a group either friends and family – no boredom, laughter, competitiveness, craftiness and downright fun. Perfect for a brilliant way to share time with each other. I love board games, they have a place (I was born in the 80s) but I was quite saddened when I went to buy games for my childrens playstation, to find Monopoly for that! I had already bought them the board game… but in the not too near future everything will be done via computer I think! 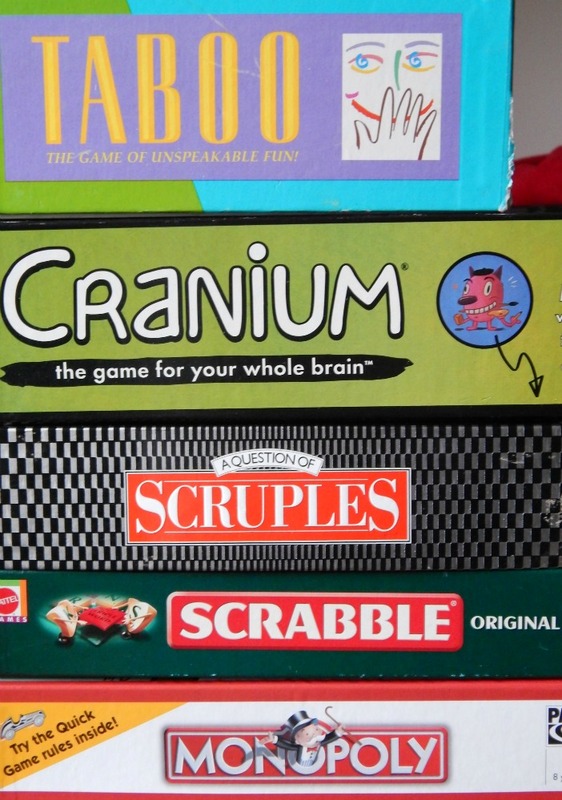 Love games – Monopoly, Scrabble, Cluedo, Cranium…the list goes on! My husband really likes board games, so we got a couple for Christmas. Our daughter is only 2, so we’re looking forward to introducing her to some children’s games. We love board games and always make sure the children get one as a present, I don’t think you can beat them, especially not with computer games! We’ve just been planning our annual New Year’s Eve board game marathon! I love board games and I buy them for my children too as I think they are a wonderful and fun family activity! Each Christmas we get the games out and all the family have gaming session, our fav are articulate, pictionary and this year catch phrase.